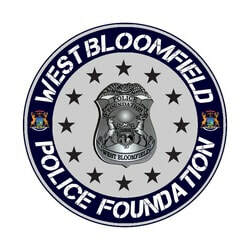 Since 2001, the West Bloomfield Police Foundation has raised thousands of dollars to support its officers and the surrounding community. Join our efforts by donating at the link above. Our mission is to alleviate the emotional, financial, and collective burdens faced by our officers, their families, and those in the community we serve. To Serve and protect those in need extends beyond the boundaries that are qualified by the law. We serve our officers, their family members, and our community, through any means of support available to us. We protect the same by assuaging their worries, needs, and stress; all the while empowering them to carry on.